Microsoft and Lionhead Studios unveiled the latest entry in the long-running Fable franchise this morning at Gamescom – Fable Legends is a co-op adventure heading exclusively to Xbox One. Legends drops the player back into the magical world of Albion – where each previous Fable title has been set – this time about four centuries before the previous games. However, unlike previous games in the franchise, which were strictly single-player affairs that put gamers into the shoes of one hero, Fable Legends is built to be played with friends. Up to five players can simultaneously get in on the action in Fable Legends – a party of four heroic adventurers and, for the first time in the franchise’s history, one taking control of the treacherous villain. Heroes will play similarly to the long-running Fable style, but villain gameplay will throw in a little strategy and tactics into the mix – players fighting on the side of the devils will control minions, command troops and manage special abilities in an effort to stop the adventurers. The game is built for five, but it isn’t strictly required – players rolling alone will be able to create a party of AI adventurers or create a mix of human and computer-controlled characters if they can’t round out a full roster. Xbox Wire’s report on the announcement claims the game allows for “seamless” drop-in drop-out co-op play. The game will also utilize SmartGlass to allow heroes to track game progress and access quest information, while villains can use it as a second-screen with which to privately scheme against friends sitting right next to them. The announcement doesn’t come with anything resembling a release date, and its far too early to tell whether Legends will go down as a full-fledged follow-up to Fable III or as a disappointing footnote along the lines of the Kinect-only Fable: The Journey. 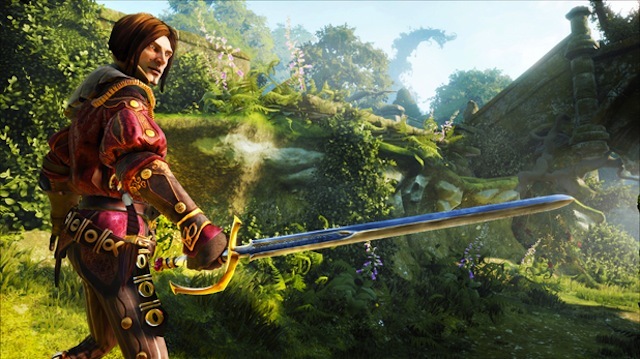 Xbox gamers, are you excited by the prospect of playing Fable with friends? Why or why not? Let us know in the comments.